This post has been sponsored by Acorn. All thoughts and opinions are my own. I’ve often described myself as having “grown up outdoors.” My childhood was filled with camping and backpacking trips, hiking expeditions, and outdoor adventures, and I have always felt right at home in nature. This connection has only grown stronger as I’ve gotten older, with more responsibilities pulling me inside. Especially as our relationships and communications move more and more online, intentionally creating opportunities outside to rest, recharge, and reconnect is vital. The deliberate practice of resting and recharging has become an important piece of my well being as a wife, mom, business owner, creative, and human. We tend to prioritize activities that yield a quantifiable outcome, and allow us to check a box. Rest can sometimes seem frivolous and indulgent. So, we race on and on from one activity to the next, forgetting sometimes to breathe, look up, snuggle up, and feel at home in our lives. When Dave and I started having our kids, we made a deliberate effort to continue spending time outdoors. 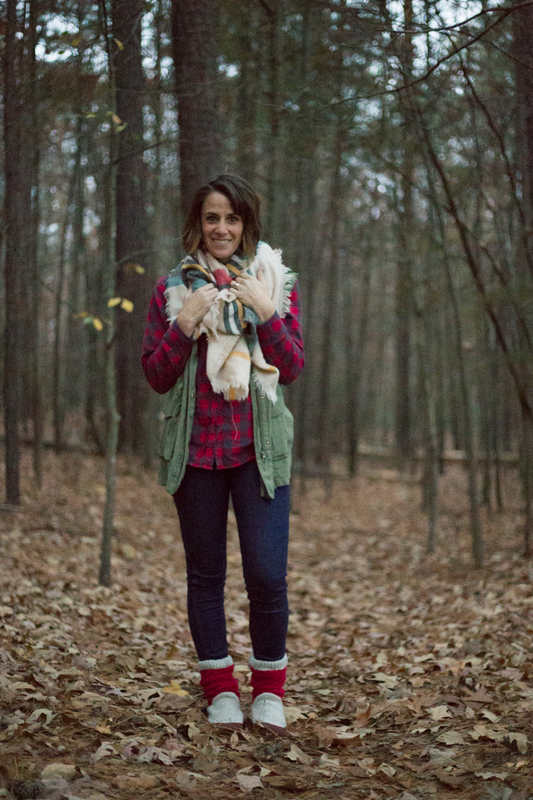 I found early in motherhood that some time outside was a wonderful way to take a break from constant entertaining, because playing at the park, hiking on a trail, or hanging out on the beach my kids would be entertained and excited by the environment. The fresh air, beautiful landscapes, and open space would give both the kids and me a chance to recharge and feel renewed. 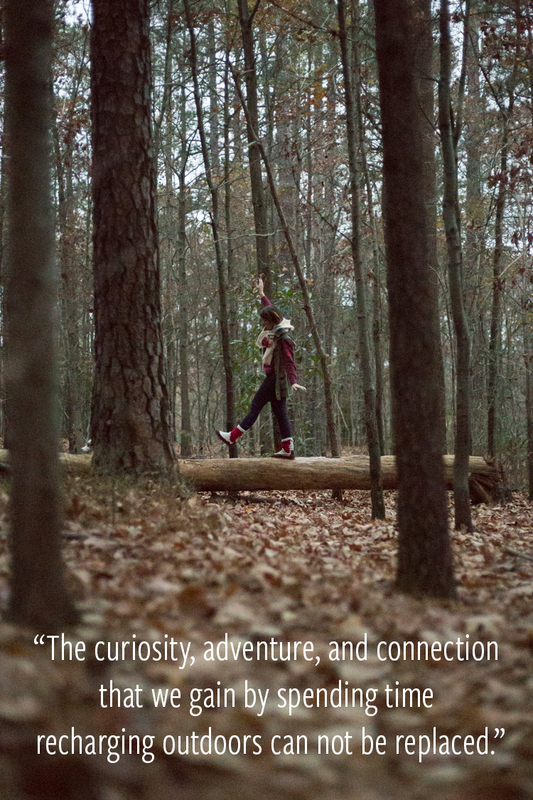 The curiosity, adventure, and connection that we gain by spending time recharging outdoors can not be replaced. Now that we’re back in the cold weather of the East Coast, it takes a little more intention and planning to spend quality time out in the cold, and we have still found it to be so wonderful. 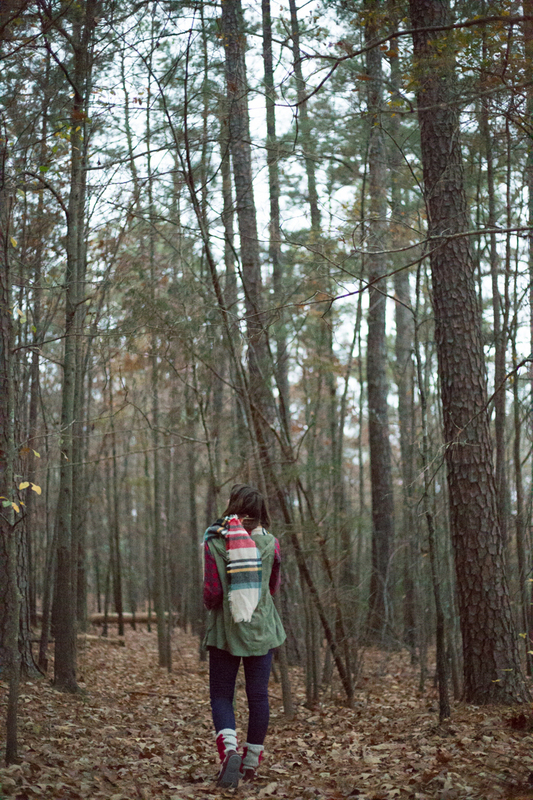 We are discovering new favorite hikes, and the trees–the hundreds of enormous trees– are incredible! 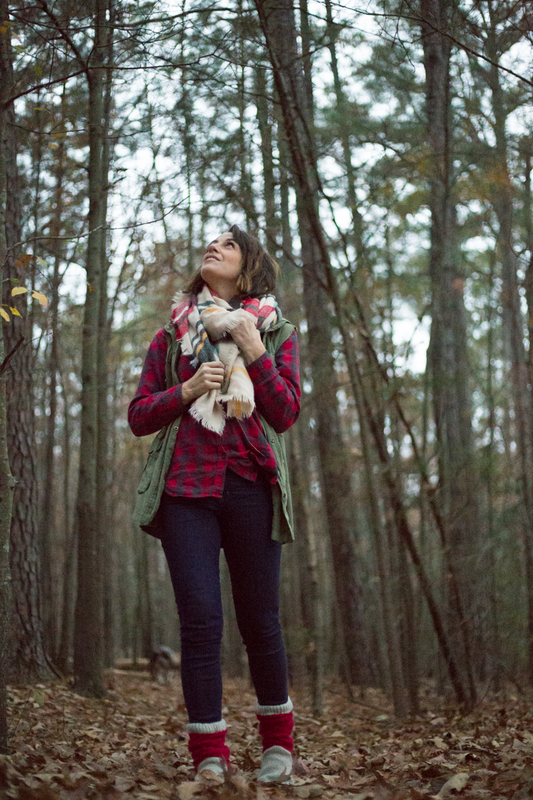 We love getting out, bundled up, to explore. Then coming home and cozying up to unwind from the adventure. A few years ago, in an effort to be deliberate and intentional about choosing to rest more often, I formed the habit of wearing slippers at home after my adventures. Not only do they keep my chronically cold feet warm, the act of changing from my run-around, work-and-adventure shoes into a cozy pair of slippers signals to my mind and body that it is time for rest and recharge. 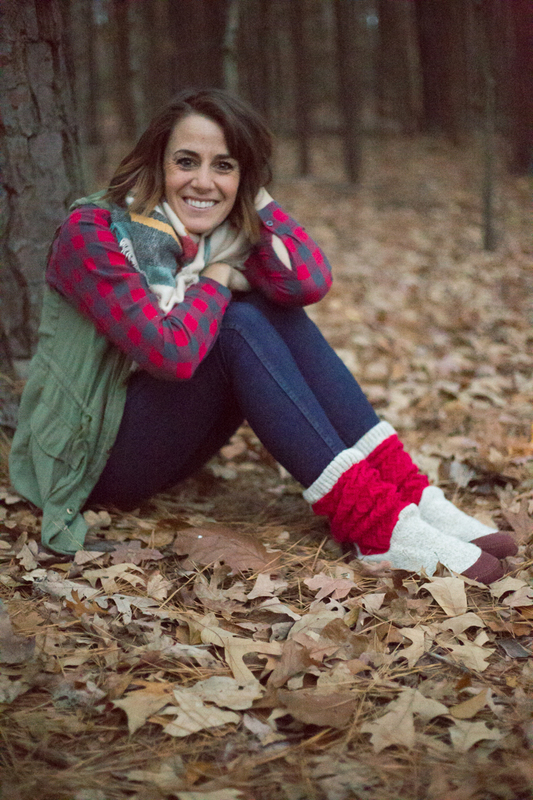 My Women’s Acorn Slouch Boots are the perfect balance of cozy, warm cable knit upper with a micro-fleece lining and durable suede toes and backs for long lasting wear. I love that the soles are rubber, so I can easily take them from resting by the fire, to a recharging evening walk in the woods–or running to help the kids catch the bus in the morning, as the case may be! The cloud comfort foot bed is as comfortable outside on a walk (like walking on a cloud!) as inside by the fire. The company, created by a true outdoorsman in Maine over 30 years ago, has been an American institution, and each pair is still hand crafted. Somehow, the simple act of pulling on a pair of cozy slippers after that time outside reminds me to take a break and rest inside, as well as out. I also am working to pass down to my kids the ideals of taking time to connect to nature as well as intentionally choosing rest and recharge. Some of my favorite memories of my family were cuddled up around a campfire together and I love seeing my kids snuggle up with me the way I used to with my parents. 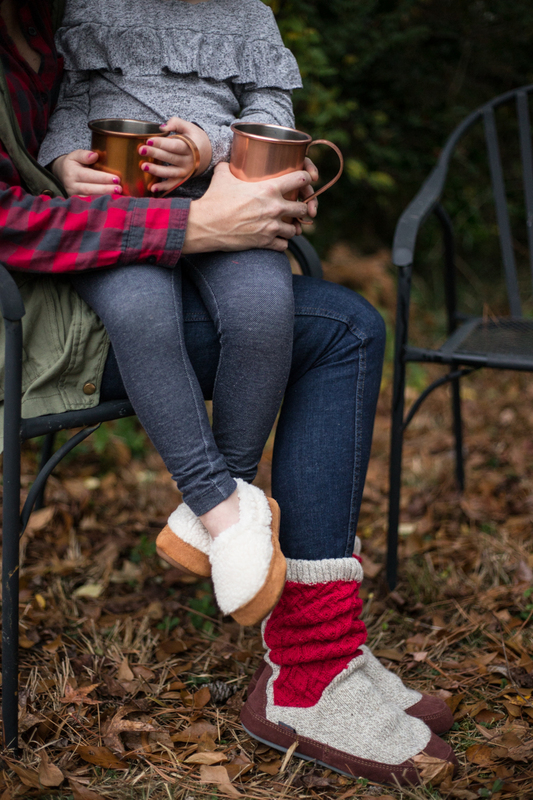 Plum can’t wait to pull on her slippers like mom and settle in with a mug of herbal tea or hot cocoa after a fun day out on the trails or playground. 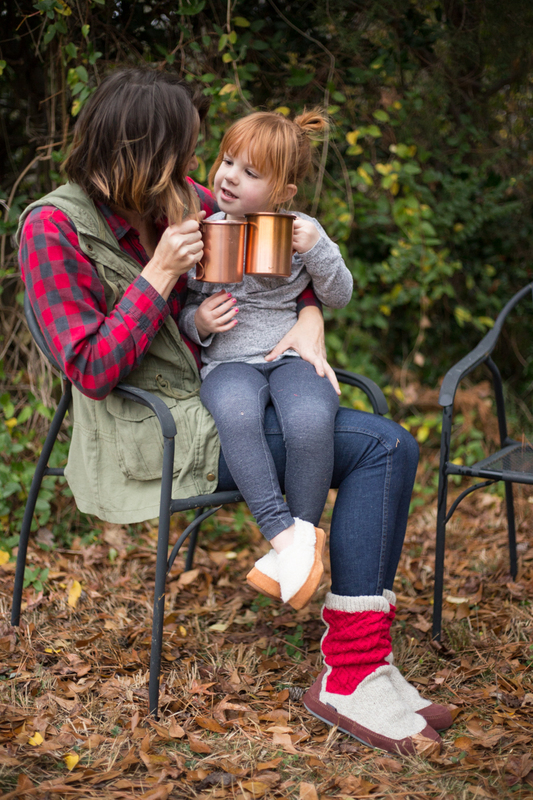 Her Acorn Kid’s Mocc Slippers are my favorite. I found them on on Amazon (and they’re also available their own website and most outdoor retailers.) They’re like cozy little sheep for her feet and she adores them. With so many options for how to fill up our lives, I am grateful to have learned how valuable it is to spend time outside to recharge, and also to intentionally choose to rest. Giving myself a chance to think, reflect, connect to myself and my family, and prepare for all the many adventures ahead is a valuable practice that we all can use to be our best selves every day.